Hello. First of all, congratulations to Allison and Travis on the arrival of Parker. She is beautiful! 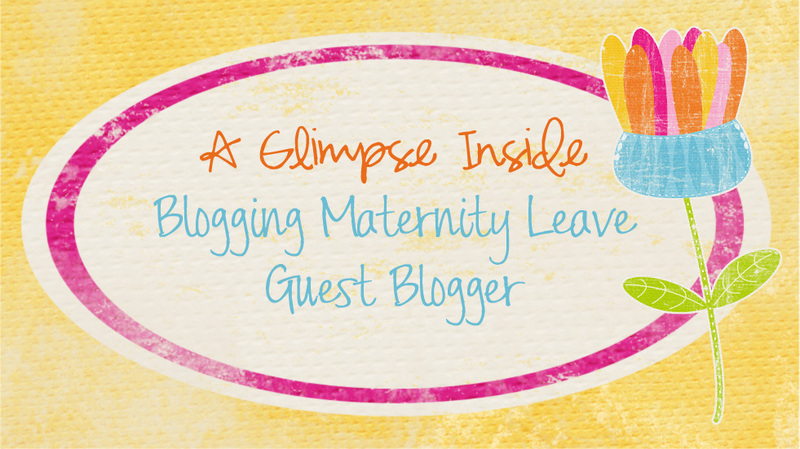 My name is Christina and my blog, No. 29 Design, is my creative outlet full of design ideas and hopefully some do-it-yourself inspiration. My projects are for anyone from the beginner to the expert. You can beautify your home and still not break the bank in the process. I like to think of it as design for real people. We recently renovated our basement and in the process created a new hallway. It is a good sized hallway which will eventually fit a random piece of furniture which I am still on the lookout for, something that will hopefully need some paint! The new wall is visible when you come down the stairs from my foyer. It is the first thing you see when you come up the stairs from the basement. 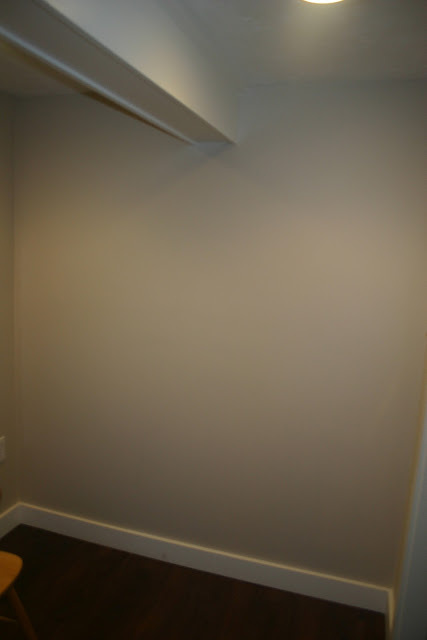 I chose to end the board and batten that now cover the walls in the basement at the top of the stairs. This leaves a blank wall that desperately needs something. 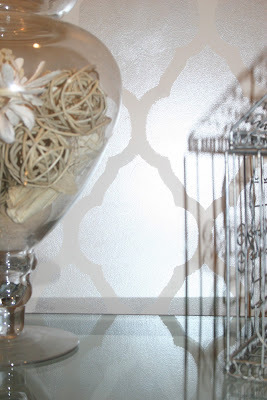 I'd never used a stencil before, so when I was asked by Royal Design Studios to review a stencil of my choice, I jumped at the chance! 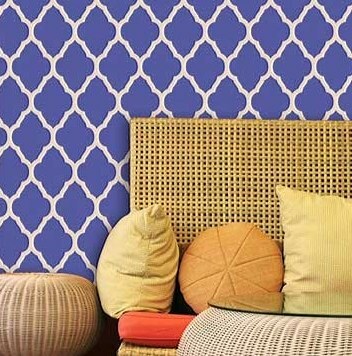 I chose the Large Marrakesh Trellis Moroccan Stencil. The wall was already painted with Benjamin Moore Brandy Cream. Trying to figure out what color to paint the stencil was the hardest part of this whole process. That is a good thing! I decided I preferred the stencils where the outlines were a lighter color, as in the image above. In other words, I needed to go a couple shades darker than Brandy Cream for my stencil. 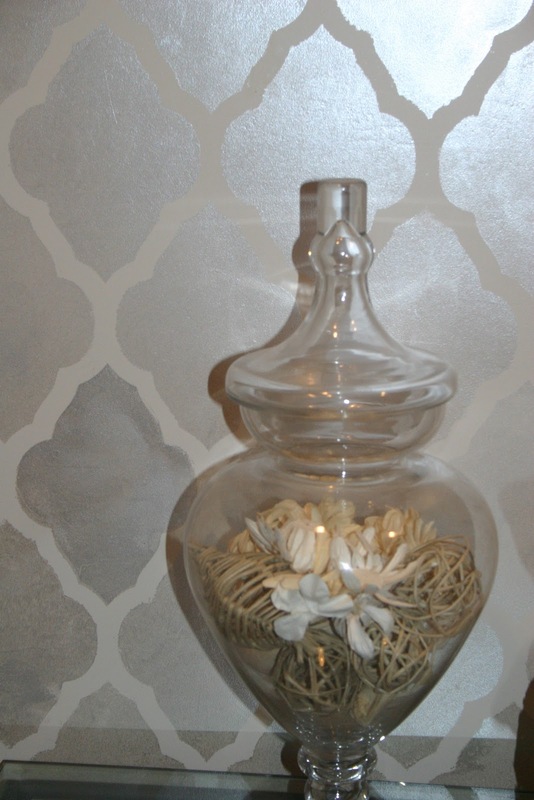 I tested out Benjamin Moore's Shabby Chic but felt it was too flat. I was looking for a statement. Subtle, yet still a statement, and no, that is not asking for too much! I went to the stenciling section at Home Depot and found some items from Martha Stewart's line. There were a lot of different options to choose from and I selected the Metallic Glaze in Mercury. 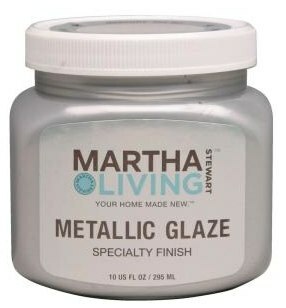 In the sample it showed that it was a translucent glaze with a metallic finish. After doing some research, I decided to use a mini roller and chose the Martha Stewart Living 4 in. x 3/4 in. 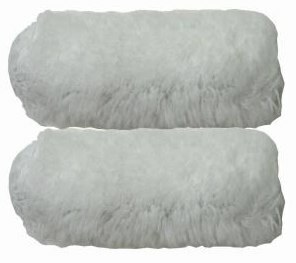 Polyamide Specialty Mini Roller Covers, which comes in a 2-pack. I only used one for my wall, which is about 7 feet by 7 feet. I also had a small stencil sponge on hand as well as a tiny paint brush, for touch ups. 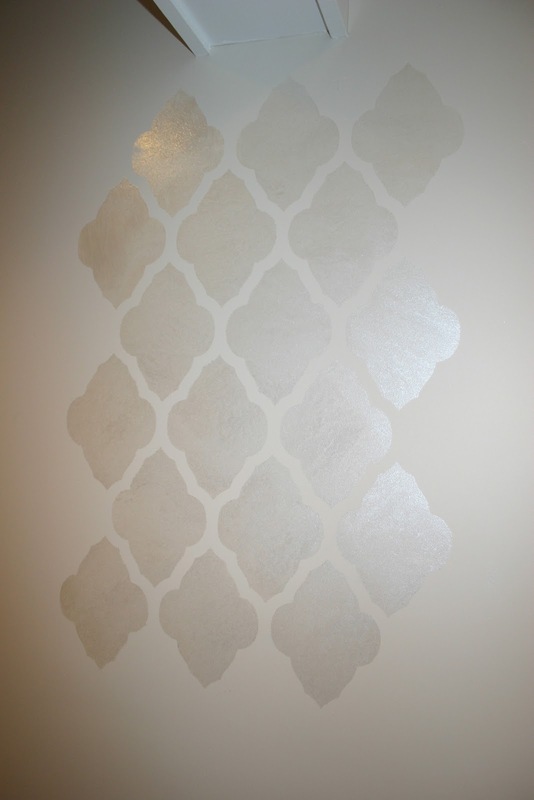 I began by measuring my wall and placing my stencil in the center. 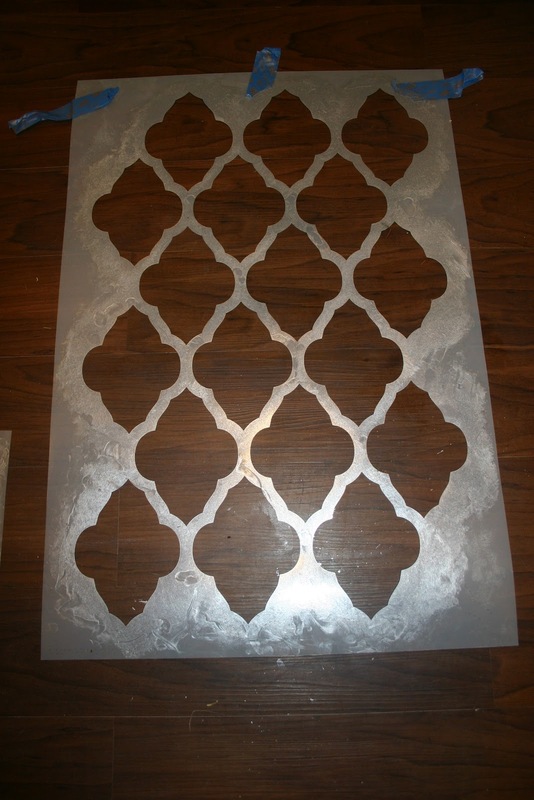 The stencil comes in two pieces, the large stencil for the main sections and a small stencil to finish off the tops and bottoms of the wall. The smaller stencil came in handy for all those little spaces. I poured some glaze on a plate and got to work. Once the roller was totally covered I rolled it onto a paper towel two or three times to make sure the absorption was even. I covered the first section, took my stencil off and checked my work. It was exactly what I wanted! Subtle color with a sheen. It is hard to see in photographs, but it is shiny without the sparkle. I got to work and finished up the entire wall except the edges in about 1 hour. The edges of the wall were the trickiest. I ended up lightly tracing the stencil and painting those areas in. I also used a stencil sponge brush for touch ups. 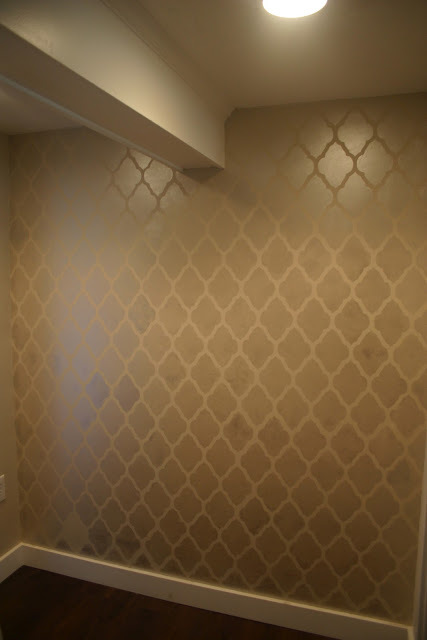 Once the stencil sections were done I went back in with a small paint brush and touched up using my original wall paint. 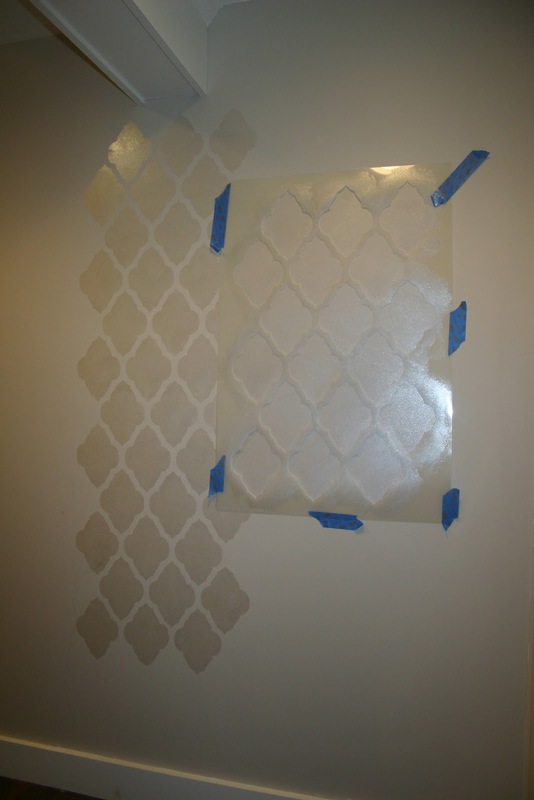 The stencil was so easy to use and durable that this was barely necessary. This wall will eventually gets its own furniture. I'm thinking an etagere in the corner or maybe a bench. I knew I had achieved my goal when my nine year old told me it looked like wallpaper. She might be only nine, but I decided to believe her. So the stencil was a success. 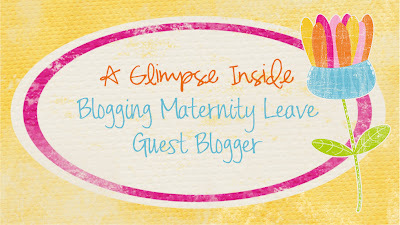 Easy to use and gorgeous results. I'm looking around my house now for another blank wall crying out for some style! Come for a visit at No. 29 Design for more ideas and tutorials. Thank you to Allison for this opportunity and congratulations again! Did you find the glaze dried completely? I read online that the glaze doesn't ever dry. I love this look. Your wall looks beautiful.